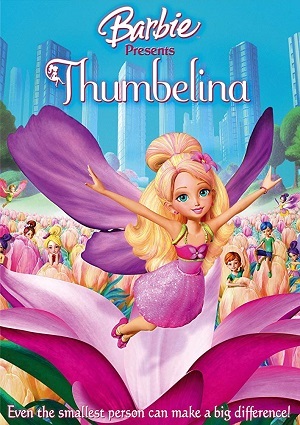 Barbie is a teacher in kindergarten and one day tells to her students the story of Thumbelina, a small Twillerbees living in a forest far from civilization, full of flowers and magical characters. Thumbelina and her friends are very happy enjoying the forest when they realize that their home is about to be destroyed by tractors. In its quest to be close and know what will happen, the three Twillerbees hide behind some flowers that are suddenly cut off and taken to a place in the city, where they must live a few days with a family. The family is the owner of the company that will build in the forest a large factory. Thumbelina and her friends know it is their chance to stop this catastrophe and Twillerbees name Thumbelina as the one to appear before one of the girls of the family: Makena and ask for ger help to keep the forest safe. Makena does not seem very convinced about helping little Twillerbees and the building of the factory apparently can’t be stopped. Her friends try to help Thumbelina by returning to the forest and organizing all their friends to defend the place, while our little friend will do everything at hand to convince Makena and her family to respect the life out there in the woods.